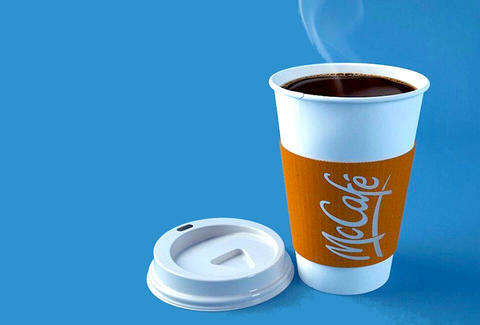 McDonald's has officially joined the mile high club -- or at least its coffee has. According to a press release, Canadian airline WestJet announced that McCafé, and McCafé alone, will be served on all of its 650 daily flights as of December 1st. Both the 'Bucks and Canada's beloved Tim Hortons made plays for the prized contract, but Mickey D's was the ultimate victor. The coffee that will be served on airplanes isn't just any regular old drive-thru drip, mind you. McDonald's drummed up a special new coffee that accounts for the changes our taste buds undergo at high altitudes (which is apparently a thing). Unfortunately, there will be no specially modified hash browns and Egg McMuffins to go with the java. WestJet will unveil its first coffee service on a flight from Toronto to Calgary next month, and also plans to roll out the fast-food chain's coffee on its regional sister airline, Encore. Meredith Heil is a staff writer for Thrillist. Black coffee, no sugar, no cream -- that's the type of airline she needs down with her team. Fly high with @mereditto.